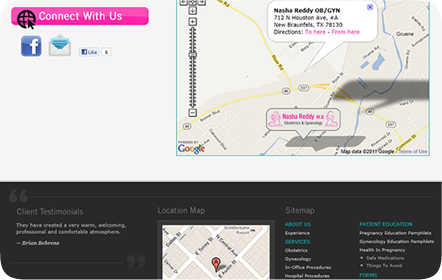 Dr. Nasha Reddy, M.D., is an OBGYN specialist in New Braunfels. Dr. Reddy approaches each problem with a keen, analytical eye in order to inform the patient and provide the best treatment possible. 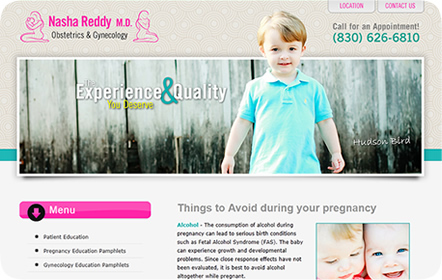 From prenatal care to in-office procedures, Dr. Reddy’s experience and knowledge leaves the patient satisfied with all the available options she has to offer. She will always make sure the patient is first no matter what the outcomes are. 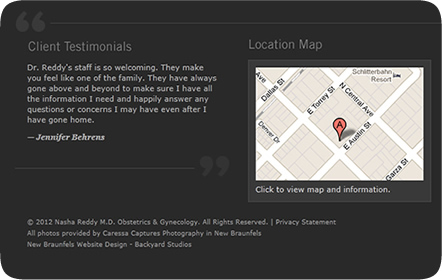 Dr. Reddy contacted us after having seen Dr. Bhatia’s website. 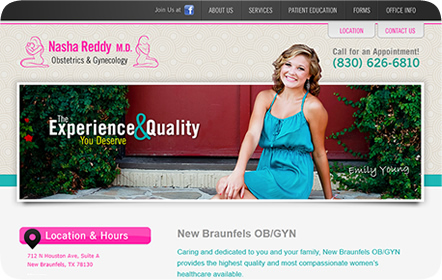 She wanted to have a similar presence in New Braunfels and the surrounding areas while increasing her business by bringing in new patients. Since New Braunfels is a tight-knit community, we knew it was vital to focus on the locals and their stories. We captured the essence of local flair by using vintage-inspired patterns and colors. All of the photography, taken by Caressa Captures Photography in New Braunfels, features actual patients and their children. It was also important to show all of Dr. Reddy’s knowledge for current and future patients, so we included a patient education page filled with information on a variety of subjects. 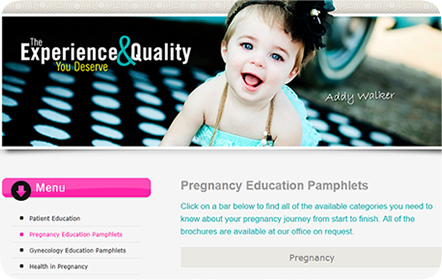 Along with the website, we created her Facebook fan page and several print flyers for her office.